Lately, Mercedes-Benz has been designing some intriguing concept cars. Last year, the brand unveiled the stunning F 015 Luxury In Motion. This autonomous concept was a huge hit among car enthusiasts and displayed Mercedes-Benz’s vision for the future. 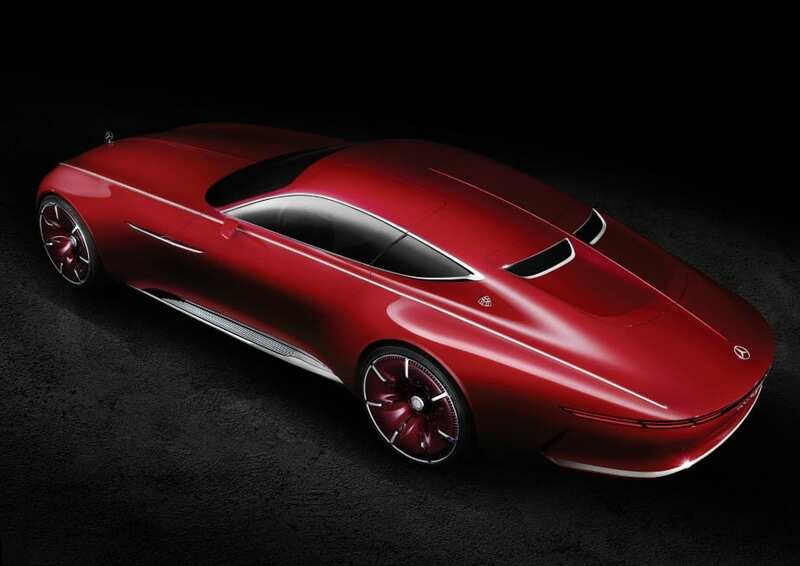 Their latest concept, VISION MERCEDES-MAYBACH 6, with its sensual, emotional design and intelligent details, represents the ultimate in luxury vehicles. The classic aesthetic proportions of the concept car – the extremely long bonnet, the low roof line and the rearward positioning of the greenhouse – recall the beloved aero coupés. Clearly defined contours and organically formed wings stand in contrast to the sharply drawn, extended feature line on each side which defines the upper vehicle body from the radiator grille across the entire length of the vehicle to the rear. The main body has a bulging, muscular look, extending across the entire flank. The extended, round “boat tail” format of the Vision Mercedes-Maybach 6’s rear recalls a luxury yacht, and narrow tail lights which emphasize the width of the vehicle are integrated in its outer edges. Above this sit the two extremely shallow rear windows. 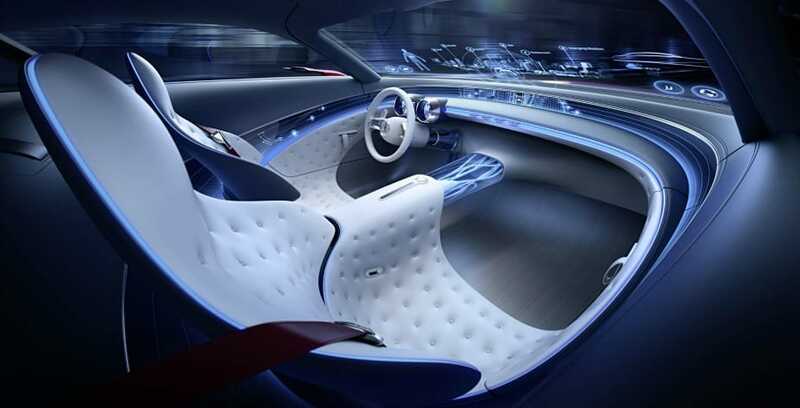 The side sills, illuminated by LED light strips, clearly underline the fact that the Vision Mercedes-Maybach 6 is designed as an electric car with a range of 200 miles. Thanks to its four compact permanent magnet synchronous electric motors, it features all-wheel drive. The output of the drive system is 750 hp, with an acceleration from 0‑62 mph in under four seconds and a top speed 0f 155 mph. The interior of the Vision Mercedes-Maybach 6 combines traditional Mercedes-Benz luxury with a new high-tech experience. The dashboard wing curves across the door trim into the seat landscape, creating a 360° lounge. The sitting surface forms a horizontal, which transitions into the vertical of the doors and finally becomes the underside of the dashboard wing. The windshield serves as a transparent display: driving-related data and geographical information is shown across its full width, augmenting the outside world with additional information. This information can be controlled and adjusted by the occupants using gestures. 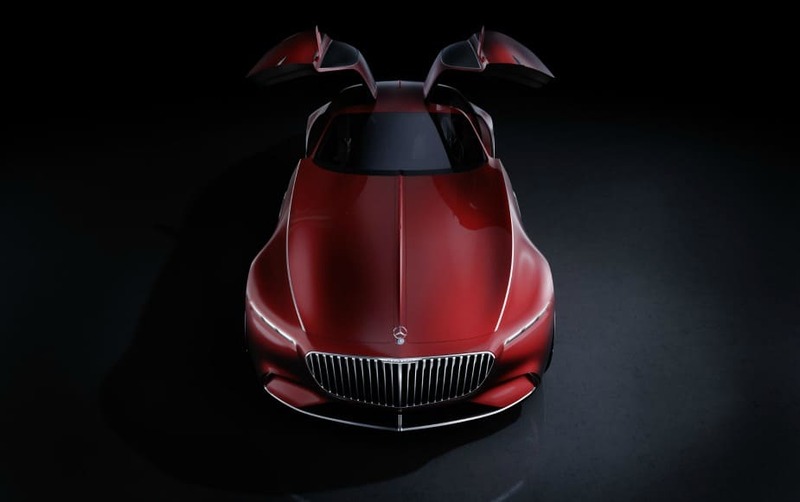 To underline the vehicle’s advanced luxury and technology, Mercedes-Benz designed The Vision Mercedes-Maybach 6 concept car to allow the driver to switch to digital/autonomous mode. Mercedes-Benz has not announced if The Vision Mercedes-Maybach 6 will be production vehicle, but it is clear that we will see many of these technologies and design elements in future Mecerdes-Benz vehicles.